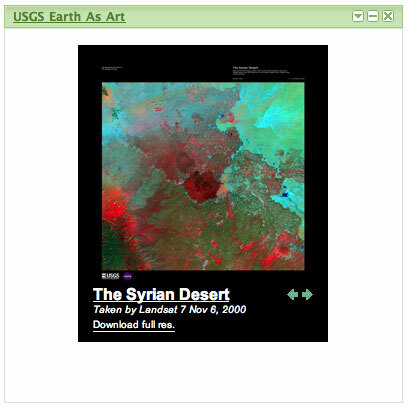 I got word from the USGS this morning that they recently released a Google Gadget called USGS Earth As Art. The gadget shows random imagery from Landsat, ASTER and MODIS. You can put the gadget on your iGoogle page, or embed it on a web page.